Most homes are not designed for wheelchair accessibility which is why most doorways are too narrow for safe wheelchair entry. AccessAble Home Modifications are Perth’s exclusive Door Widening experts who can safely enlarge all necessary doorways for full wheelchair accessibility. We take the time to do the job right and find replacement materials that match or closely match your existing doors and trim. So to ensure your door widening is done right and make sure grab rails and other safety features are in place for full Wheelchair Accessibility, schedule a Free Safety Audit today! 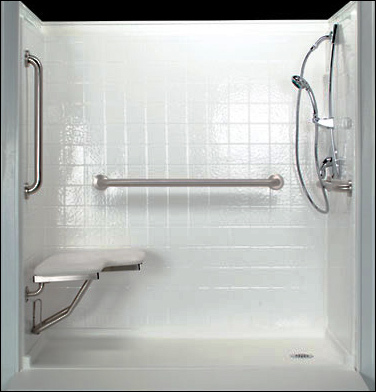 See what your new fully accessible disabled bathroom will look like with our Free 3D Design*! At AccessAble Home Modifications, all Door Widening projects begin with a Free Safety Audit to determine your needs and take critical measurements. We are happy to come out and provide the Safety Audit to widen just one door or several doorways as needed—it’s still Free! Then, should you decide to proceed with us for your door widening needs, we’ll have all the info. we need to schedule you in for a fast, professional installation.